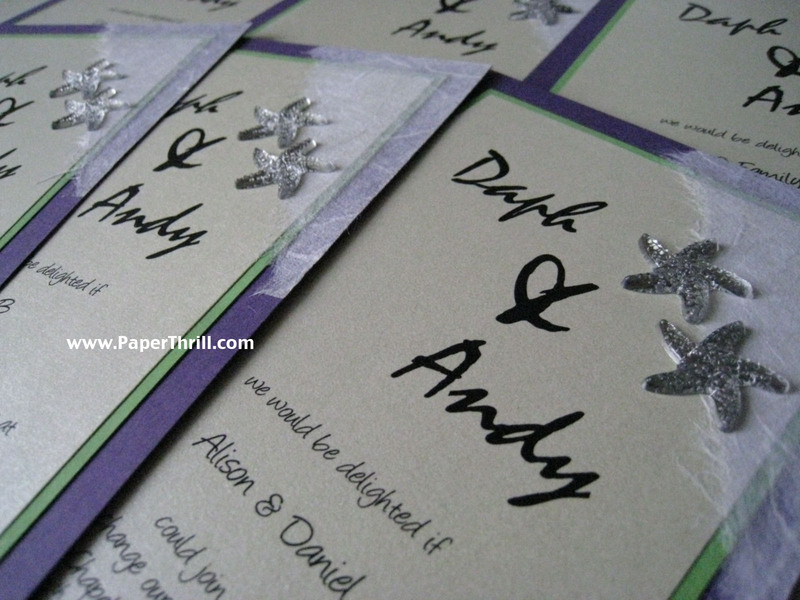 A spin off from our Silver starfish wedding invitation that incorporated the colour theme for the couple which was purple and lime green. 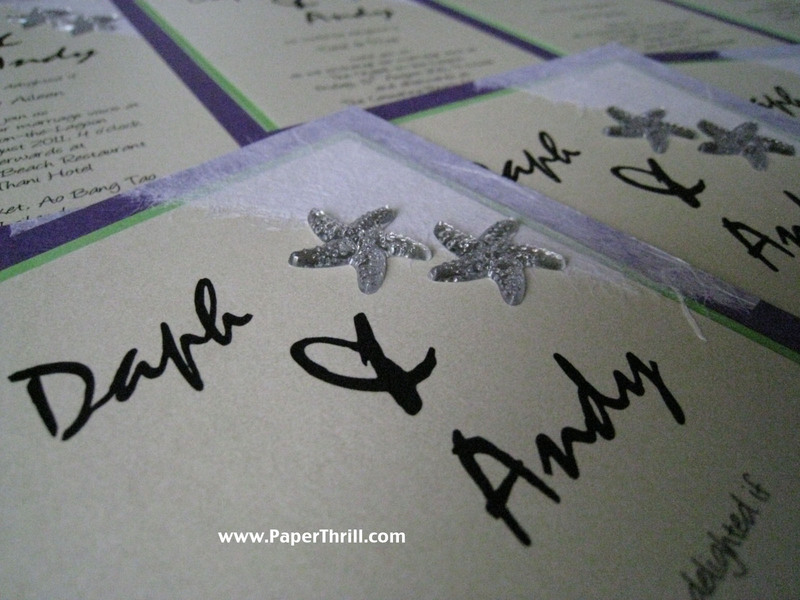 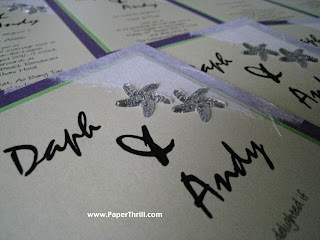 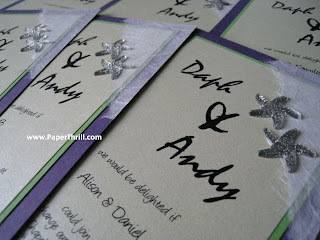 Daphne and Andy fell in love with the card as the starfish exudes the feeling of a beach wedding that they were going to have. 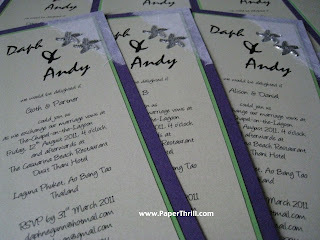 Instead of a 2 layered card, we added another layer for more depth.